Grilled chicken and cold drinks will be provided. You just bring a covered dish. 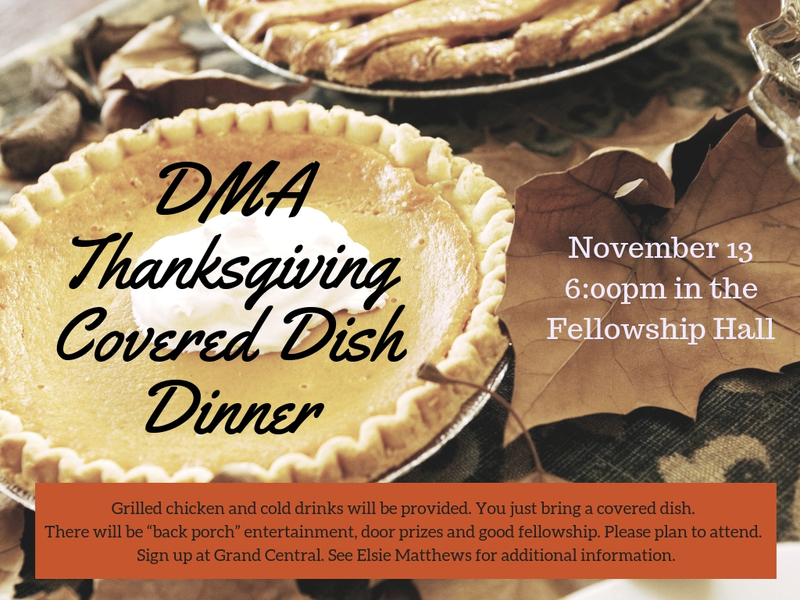 There will be “back porch” entertainment, door prizes and good fellowship. Please plan to attend. Sign up at Grand Central. See Elsie Matthews for additional information.